Active wildfires across California have claimed 31 lives and forced more than 300,000 people to evacuate their homes. Much of the state remains under a red flag warning, a National Weather Service indication of ideal wildfire conditions. With the largest fire, the Camp Fire, currently only 25% contained, the threat of erosion and mudslides in areas scorched by the blaze will be high. 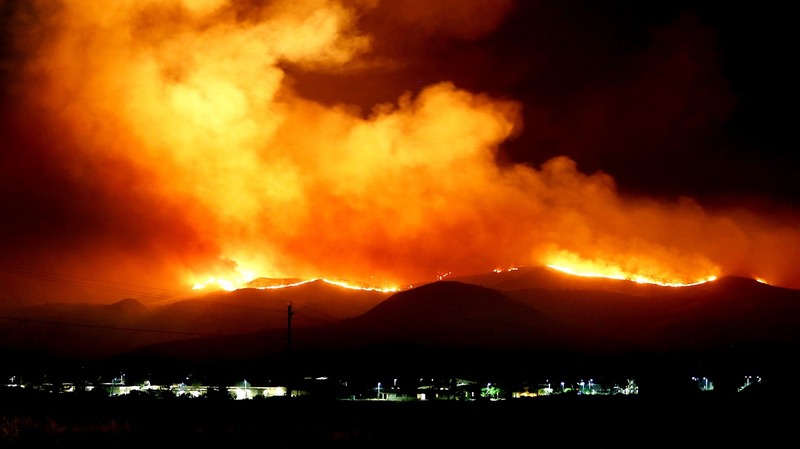 Wildfires char the earth, leaving behind ideal conditions for landslides. The Camp Fire has burned approximately 111,000 acres across Northern California and has destroyed an estimated 6,700 buildings, making it potentially one of the most destructive wildfires in California history, as reported by NBC News. In Southern California, the Woolsey Fire has covered 85,000 acres and is 15% contained. The smaller Hill Fire has covered 4,531 acres and is 75% contained, as of the morning of Sept. 12. According to CNN, the town of Paradise has been destroyed by the Camp Fire and 29 bodies have been recovered in the area. Residents evacuating reported gridlock traffic to evacuate as the fire neared, leaving many to abandon their cars and flee on foot. Hot, dry Santa Ana winds fanned the flames over the weekend, but firefighters have been able to contain flare-up resulting in to no new reports of burned buildings. With wind conditions expected over the coming days, more evacuations may be possible. Cal Fire has said they do not expect to have the Camp Fire under control until the end of the month.